It wouldn't be a new Bethesda release without glitches. Some Fallout 4 glitches benefit dedicated players more than others, and this particular glitch makes duplicating items easy. Keep scrolling and we'll explain how to do it. Open-world RPGs are always susceptible to gaming explorers looking to find interesting secrets and strategies for breaking the game. This particular dupe is actually incredibly easy to pull off, and it can be done at the start of the game. You won't need to travel far from Vault 111 to start making dupes. For even more exploits, glitches, and cheat codes check out the other Fallout 4 guides on The Escapist. Note: This exploit was tested on the PS4 with Patch 1.01 installed. It is confirmed to work on Xbox One and PC. The item duplication exploit works with all versions of Fallout 4. Even if you've just started, it's possible to use this glitch. All you have to do is leave Vault 101 and team up with Dogmeat at the Red Rocket garage outside Sanctuary. Dogmeat can retrieve items when you give out orders. It isn't a widely known or obvious feature, but it's important to know to get this glitch to work. As described above, you'll need Dogmeat as your companion. Find him near the Red Rocket mechanic shop outside Sanctuary. 1. Select the item you want to duplicate from your inventory and drop it on the ground. 2. Interact with Dogmeat; while you're in command mode, step away from the item until you can order Dogmeat to "Get" it. 3. Just as Dogmeat bends his head down to pick up the item, pick it up for yourself. 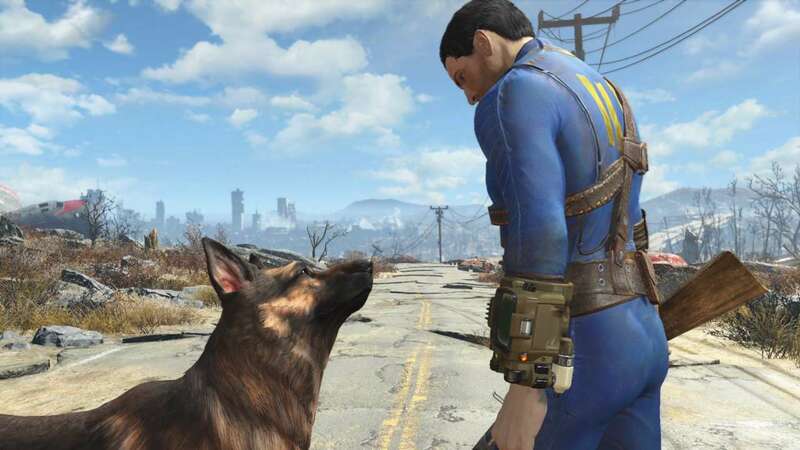 The original will return to your inventory and a copy from Dogmeat drops at your feet. Using this method, you can get an unlimited supply of ammo, caps from selling duped gear, or max out your SPECIAL attributes. Drop "You're Special!" magazines and re-collect them when Dogmeat creates a duplicate to easily increase your stats.